Salvelinus fontinalis or the Brook Trout as they are commonly named is the state fish of Virginia. These spirited trout may typically be small, but what they lack in size they make up for with spirit and beauty. Many would be surprised just how hard these little guys can fight, and I have yet to be able to find a fish that can compete with the beauty of a native Southern Brook Trout. Virginia is lucky enough to sport some of the best native Southern Brook Trout water anywhere in the country and I hope to be able to give you an idea of what you’ll need and just what it takes to chase these beautiful fish. There are plenty of ways you could rig for Brookies, between the rods, reels, lines, leaders ect. I will not be touching on all of them but rather what I think works best and what has worked best for me over the years. For a rod, I have always used a 3wt fly rod. I like to keep it less than 7’6” if possible and the rod I have been using the most and am slowly but surely falling in love with is the 6’9” 3wt. 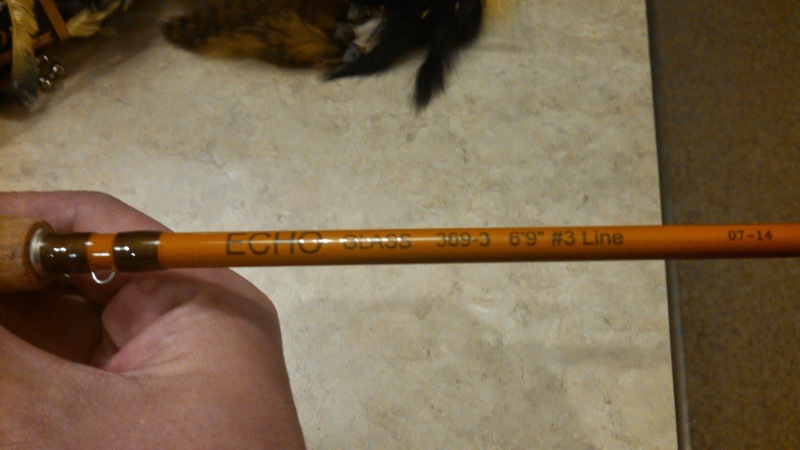 Echo Glass. The slow action of this rod allows me to present flies much more delicately than with graphite and also the fiberglass blank tends to be more durable than its graphite counterpart, (this can be something worth thinking about, since rods can take a beating in these technical little streams). I have found the shorter rod really helps in most of the tight little streams and it also makes it easier to handle when hiking in. I don’t worry too much about a reel when Brookie fishing because very few Brookies if any will ever be caught on the reel. 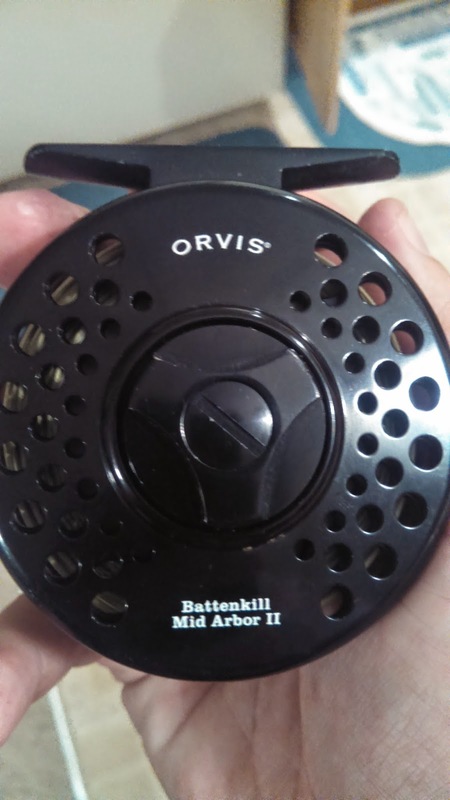 Typically a standard 3wt click and pawl reel will fit the bill just fine. They are usually pretty light which can make for a much more enjoyable combo to fish. The fly line is a pretty important part of any combo and especially the brook trout combo. I recommend finding a fly line with a soft taper, nothing too sharp that will require a lot of momentum to roll cast or just to cast in general, the key is to be stealthy. I have been using AirFlo fly lines for Brookies for a while now. These lines are polyurethane based and are typically more durable than their PVC counterparts. Durability is another important aspect of a brook trout fly line to consider since it will be dragged over rocks, logs, thorn bushes and a lot of other nasty stuff from time to time. The leaders I like to use for Brookies vary with the water and flies I am fishing. If I am fishing a dry fly I typically use a 9ft leader with a foot or more of tippet, both in the 5X or 6X variety. If I am nymphing I will use a shorter leader to be able to turn over the extra weight of the indicator and everything, typically a 7 ½ foot 5X leader fits the bill. Once you spend some time on the Brook Trout streams in Virginia you will learn there are a few different types of anglers out there. One type is what I like to call The Catalog Angler. This is the guy who went into the L.L Bean or Orvis catalog and practically ordered everything from a matching hat, waders, vest, wading jacket, lanyard and everything else you can imagine. Another type of Brookie fishermen I see all too often is the SWAT team fishermen. The SWAT team fishermen is the guy who wears more camo than anyone could ever imagine. While I will admit drab colors and even a bit of camo is necessary, this guy takes it to the extreme with camo everything from boots to facepaint. Then there is the polar opposite of the SWAT team with the Ski Slope Fishermen. I call them ski slope fishermen because the only place colors that bright and out of place belong is on a ski slope…please, leave your neon green and fluorescent orange shirts at home if you plan on Brookie fishing. There are other types of fishermen out there, the backpackers, the purists, the father/son duo ect. truth be told you will see all kinds. With that being said, the gear I take for Brookies is with one thing in mind, keep it simple. I wear standard waist high waders with studded rubber sole wading boots. Some days I wear a vest and others I use a sling pack. Shirt color is probably the most important part of your brook trout apparel. Keep the colors drab. Olive greens, light browns, greys ect. are all good choices. You just want to have something that will blend in with the back drop. This is the only part that I would say camo can be necessary. Polarized sunglasses are always a must for me as I like to have every advantage that I can when it comes to locating fish and being able to see takes whether they are on the surface or subsurface. Polarized glasses drastically reduce glare on the water and really help you see into the water better. As for packs and vests, like I said, I use both. It just depends what I’m doing as to which I am going to wear. If I had to pick one over the other it would probably be the sling pack though. A sling pack is the most comfortable pack you will ever wear and they can hold all of the stuff you could need for a day of Brookie fishing. Another piece of equipment I bring that is often overlooked for Brookies is a net. I always carry a net with me because I try to be as gentle as possible with these fish. Brookies are pretty resilient but there is no reason to handle them any more than you have to. It is always better to net the fish in the water, spin the hook out in the net and let the fish swim out of the net, rather than pick them up and grip them as you tug on the hook. I know a lot of people like to just reach down while lifting the fish’s head out of the water and use forceps to spin the hook out without touching the fish at all, this works well also, but a net is also a nice tool to help you get a picture of a fish without hurting them too much. While setting up the camera you can leave the fish in the net in the water so they won’t get too stressed from handling or be out of the water for too long. Now that you have your gear and clothing you are going to need to know what flies to throw. Luckily, Brookies are not too picky. In the Spring and Fall months they will eat just about any average sized dry fly drifted their way. Adams, Elk Hair Caddis, Stimulators, and Wulffs will all work. My favorite way to catch them is with terrestrial patterns such as flying beetles, hoppers, ants and crickets. It is best to keep the sizes average, not too small and not too large. 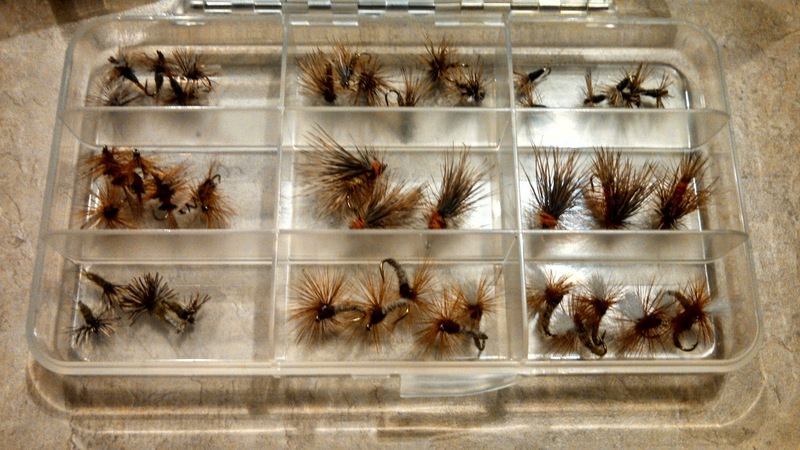 #14-18 dry flies will work just fine. In the Winter months I typically fish size 16-20 nymphs. There is no reason to get really fancy here, most of your brook trout streams don’t get fished too hard in the winter so the fish aren’t too picky or selective, it’s more about being sure you get the fly down to their level and present it well rather than worry about the fly pattern. I like to throw Princes, Brassies, Pheasant Tails, Midges, and Hairs Ears. Typically your bread and butter every day nymphs will trick a hungry Winter Brookie. Since Virginia has such a large amount of Brook Trout water to fish, you can typically find somewhere to fish without too much trouble in every season. I typically fish for Brookies in the Spring, Early Summer, late Fall and Winter. I typically don’t like to fish for the Brookies in the Summer because the water levels in most streams are so low that it isn’t worth the trip and the fish are typically very stressed from increased water traffic from swimmers, hikers and fishermen so I don’t want to pressure them too much. I also don’t choose to fish for them in the early Fall because that is typically when Brookies spawn. The eggs usually fill the shallows and walking around in the water can stir them up and cause them to be lost downstream along with stepping on them as well. I just chose not to target them in this period in respect for the species and hopes for a healthy, strong spawn. 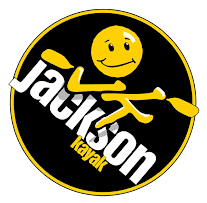 There are some lakes in western Virginia that host good populations of brook trout that you can fish in a kayak, canoe or belly boat in the summer months as well as the fall months without too much trouble. Typically lake Brookies aren’t as fun as stream fish to me, but if you fall in love with the species like I did, then you may just have to head out there to fill the need in the late Summer when you are craving some Brook Trout action. Before I leave you to the fun of Native Brookie fishing I figured I would give you some final tips to carry with you. 1. CATCH AND RELEASE. I am one of the biggest advocates in the world for catch and release fishing of Virginias Native Brookies. Even though plenty of the streams are already catch and release only, there are many who still allow a creel limit. Please, these fish are Native to this region, let them stay that way. There isn’t enough meat on a Brookie for it to even be worth anyone’s trouble. The more of these little guys we let swim free, the more we have to catch in the future. Learn to handle fish correctly and release them back to swim another day. 2. STAY LOW. No matter what stream you’re fishing or how spooky the fish are, it can never hurt to keep a low profile. After a season of Brookie fishing you will be used to the crawling around and it won’t bother you much anymore. Stay low and you will catch more fish. 3. Practice Your Casting. This should go without saying. I wouldn’t suggest hopping into a Brookie stream without being a fairly accomplished caster. Sometimes you will have to roll cast under limbs or false cast through tight shoots, ect. You just need to be comfortable with your cast and be prepared to have to make a few difficult casts in a day. Just remember, if it was always easy, it wouldn’t be any fun! 5. Fish Water You Wouldn’t Normally Fish. This is something that may take a while to get used to, but once you pull a nice 12+” Brookie out of a pocket smaller than a paint can you will know what I mean. There are a lot of pockets on Brookie streams that get overlooked, don’t be afraid to throw a fly in there a couple times just to see if anyone is home. These fish don’t need much room to call home, you will be surprised how small of holes they can hide in! 6. Practice Taking Less Than You THINK You Need. You don’t need much out there. 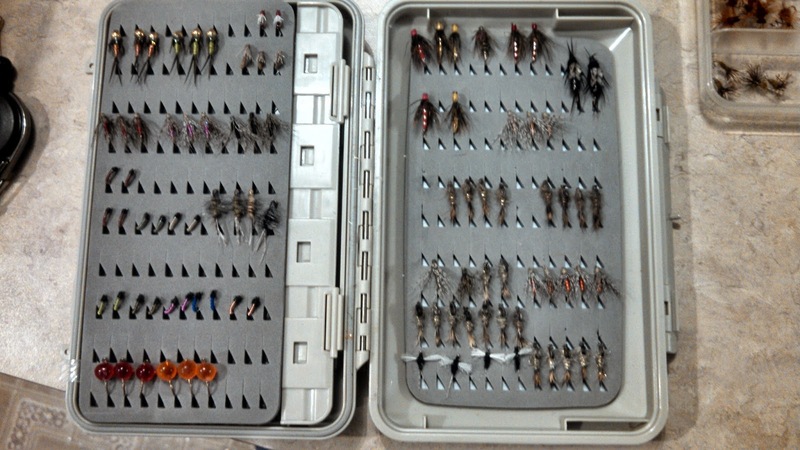 Plenty of times I have been able to fish out of only one side of a fly box all day without any problem. You don’t need every possible life cycle stage of every insect native to Virginia in 10 different sizes. You will be doing a lot of hiking and the less weight you can bring, the better. 7. Pools, Pools, Pools, Pools, Pools. This is where they will almost always live. If you are a Novice Brookie fishermen and want to get your confidence up, then just go “pool hopping”. Go from one obvious pool to the next and drift flies through, it won’t take long to have a decent number of Brookies under your belt. Confidence is important, the more confident you are, the better chance you have at catching fish! 8. Keep a Level Head. This is one that shouldn’t need mentioning but I figured I would throw it in here. Don’t get discouraged over a missed or lost fish. It happens. I can remember plenty of 13+” Brookies that have spit the hook all too close to the net. That’s the fun of it, remember them. That is what will get you addicted to these fish. When you return to a familiar pool with a chip on your shoulder from a lost fish, and if you manage to catch that fish the next go around, there is no greater feeling. When it’s all said and done, you will get plenty of shots at fish throughout the day. You’ll make up for it. 9. Take It All In. Virginias Brook Trout streams are some of the most beautiful scenery you will ever find. Take it slow, appreciate what is around you. Brook Trout fishing is an experience everyone should enjoy. If you are feeling down about a missed fish, just look around, take a seat and enjoy what nature has to offer. I believe that’s about it for this intro to Brookie fishing. I hope this has helped some of you out and hopefully inspired others to want to give these amazing fish a shot. I can promise you, once you get away into a Brookie stream, miles from civilization, you will understand why so many of us love to target the Brookies. I hope this helps you enjoy some of the finest fishing Virginia has to offer, and I look forward to meeting some of you out there. You won’t be able fly fish without a fly rod, reel, and line. Now there's a huge variety of fly rods out there which newcomers can easily use.